Having a custom design printed on t-shirts can be much more appealing and effective than having some ordinary photo or graphic. Custom designed t-shirts are excellent ways to advertise a brand or event by displaying a company’s name or the product/service they offer. Screen printing gives the choice of printing on whatever sort of material you’re comfortable with and removes the worry of having graphics fade away after washing the shirts multiple times. Printing with a professional company like Caribbean Embroidery ensures that products will be taken care of with extreme passion and the appropriate time is put into each project. Knowing that custom t-shirts are in the right hands is important, and Caribbean Embroidery will ensure that updates about products and distribution are always provided. A huge benefit of screen printing is getting more, for less! Ordering from a professional company gives the option of ordering in bulk, which provides huge savings that will be passed on to clients. Ordering in bulk supplies an entire company or event with shirts while not having to worry about breaking the bank in the process. The low cost of screen printing allows for a variety of shirts to be made. Make sure you choose the right company and don’t spend more than needed. Anyone could go out and buy a shirt press and create their own custom designed shirts, but custom designed shirts should look professional and give a business a confident style. 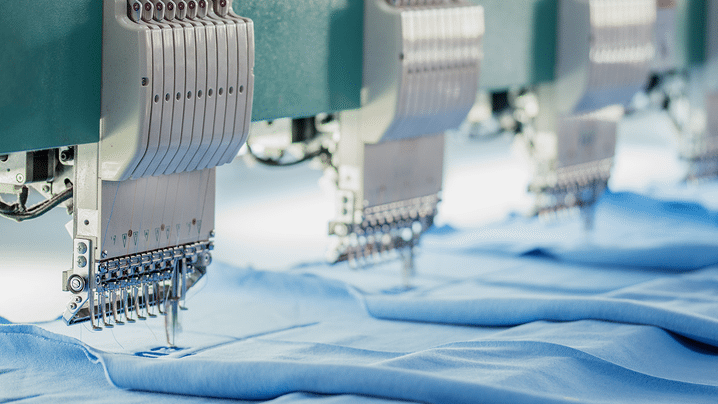 Working with a company that has state-of-the-art equipment ensures the highest quality custom designed shirts that won’t fade, crack, or flake over time. The flexibility of screen printing allows the selection of printing on any material and eliminates the worry about the quality being hurt or ink harming the fabric. Don’t waste money and choose a company that will help the business stand out from the competition. There are a lot of businesses out there, so standing out from the crowd is an extremely important task. The biggest advantage of having shirts screen printed is the ability to put any design on a shirt. Having custom shirts made are a great way of exposing a business to the public. Choosing the right printing business is an important decision to ensure the business looks its best. Screen printing has some incredible benefits that people often overlook and miss out on. Have Caribbean Embroidery help boost your business today with custom designed, screen printed shirts. Give us a call at (786)865-9097! Do you need Custom Embroidery for your business, organization, or event in the Miami or Broward County? If you need to order custom embroidered t-shirts or uniform shirts for your business. Caribbean Embroidery can provide this service at an unbeatable rate. We ship our custom shirts and other items produce from our services such as our custom screen printing services around Miami and its surrounding cities along with cities in Broward and the Caribbean. At Caribbean Embroidery, our team of expert professionals ensures you are happy with your custom designed apparel. We offer custom embroidery that produces high-quality uniforms and T-shirts with cutting edge features. We provide custom embroidery in Miami, Kendall, Coral Gables, Aventura, North Miami, Miami Lakes, Doral, Miami Beach, Fort Lauderdale, Coral Springs, Davie, Margate, Sunrise, Hollywood, Oakland Park, Weston, Pompano Beach, and surrounding areas. For more information, Contact us at (786) 732-7999 to begin creating the custom embroidered shirts your organization has always needed. We offer custom T-Shirts, Hats, Totes, Polo’s, Dresses, Shirts, and more in Dade County, Broward County & Palm Beach County. Ft. Lauderdale, Miami, Broward, Dade, Florida, South Florida.